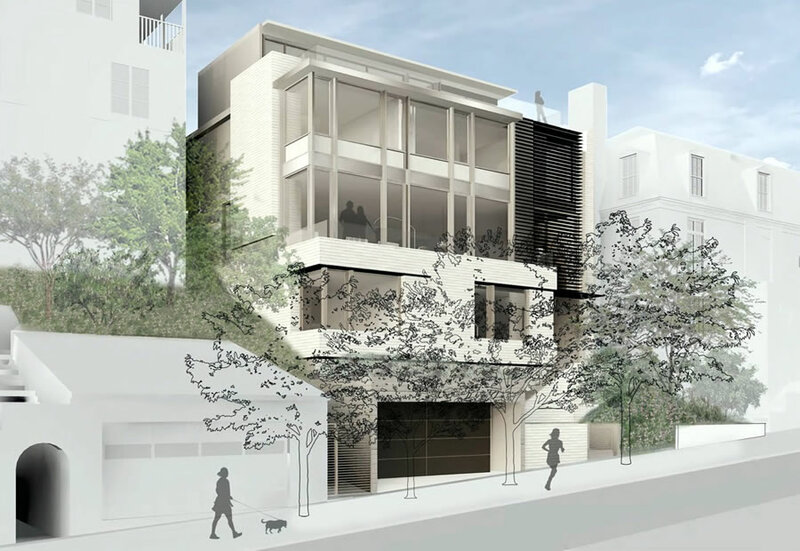 The Pacific Heights parcel and approved plans for a modern 6,800-square-foot home to rise on the 2921 Vallejo Street site, which were drawn by John Maniscalco Architecture and the subject of both a confidentially settled lawsuit and unsuccessful Discretionary Review (DR), hit the market earlier this year with a $9.995 million price tag. While building permits for the project have already been paid and issued, the ground has yet to be broken. And the asking price for the “once in a lifetime opportunity” has just been reduced by 10 percent to $8.995 million. And once again, the un-entitled parcel was purchased for $5 million back in the third quarter of 2015, prior to the plans for the site being drawn, approved or permitted. I’m guessing that if you have $8MM to $10MM you can afford to spend on a tree-filled lot, that the opportunity to do so isn’t really a once-in-a-lifetime sort of thing. 6,800 square feet for an SFR? That isn’t a house, that is an aircraft carrier. We should tax the ultra-wealthy in this country like they do in the first world. P.S., You’d have to have so many professional assistants and shoppers to fill a house this big with stuff. 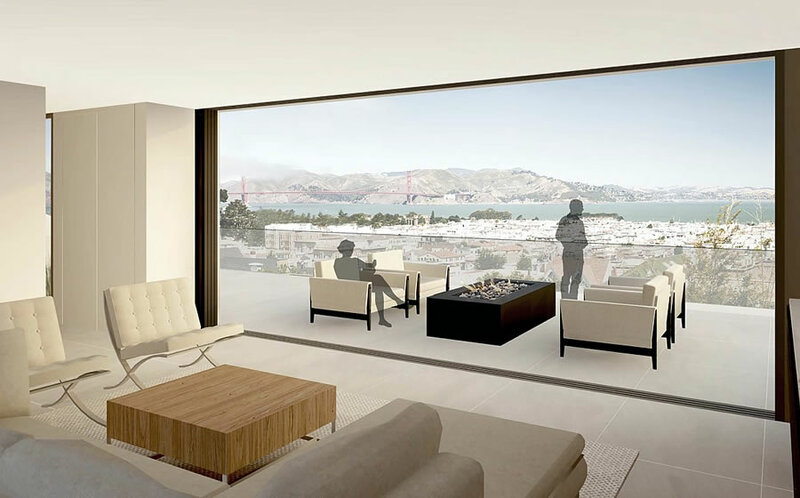 If you think that is large, you’d have had a fit if the house planned for 850 Francisco Street was actually completed. 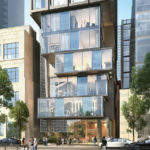 The developer attempted and evidently failed, to slide a six-story, 18,823 ft² “monster home” into that lot by revising previously-approved permit for a smaller residence. In Beverly Hills, they build houses that are 30,000 sq. ft. This would be the pool house. The future owner whoever decides to build on this lot will pay enough in property taxes. For some people 6,800 square feet is what is needed for their large family or entertaining. Some people can live in 680 square feet and that works for them. The size of the house is relative to the owner. For example my house at around 3,500 is a perfect size for two and two dogs for me. You might want less or more but that up to you. I personally don’t like the design but I am not in the market for a new home at the moment. 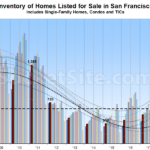 That is what is amazing and greta about SF we have a wide variety of size of homes and architecture styles for everyone to select something they like. The sellers should build it. They know all too well why other developers are shying away at these prices. 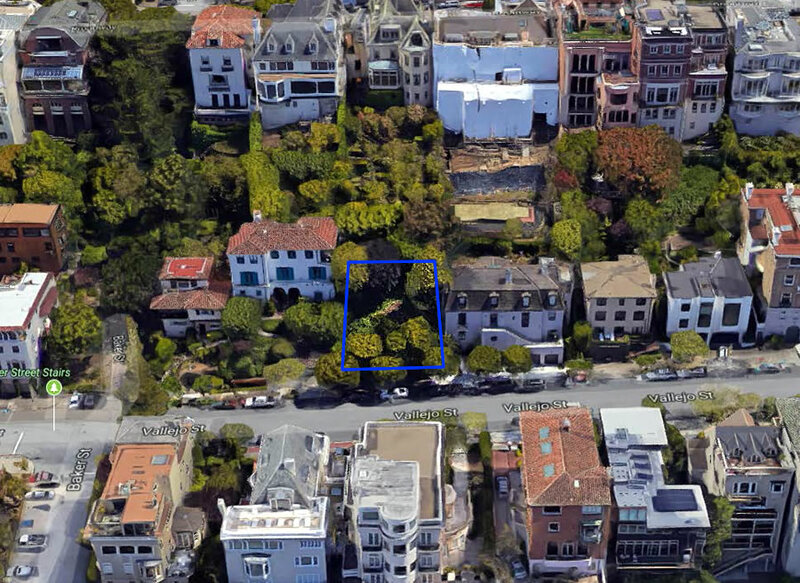 Anybody have a sense for how much it would cost to build a 6800sqf house at this location (to Pac Heights standards) and what it would it would be worth after? Commenters on this article estimate from $800 to $2,000 per square foot, with the lower estimate being a builder who can build at cost. It’s been suggested that I inflate prices a bit, but from my experience, to build on this site with high-end finishes would be about 2k per foot for a non-developer. The cost of excavation and structural support/underpinning on the side of the Broadway hill will be astronomical. I would estimate a non-builder (hiring a GC) can do it for 7M which includes an elevator and with good, but not over the top, finishes. Of course you can go over the top and spend a lot more. According to the city they still don’t have a building permit because they don’t have structural approval which is interesting after nearly 9 months. I still believe you are looking at about $1200 per square foot for construction of just the house, but the foundation and structural work could be an additional $2m easily… if it gets approved! This is not a shovel-ready project as we discussed in the previous thread. Structural plans are hideously expensive, and it is not surprising they weren’t completed by the sellers given the enormous complexity of building on this site and the possibility new owners would make changes in the overall design. 2mm is a good, but conservative, estimate for the structural work. My guess is you’d get a 2mm estimate, but it would end up being 3mm when all is said and done. What does the soil sample reveal? It is bedrock (my guess)? Fill from the hill above? Sand? There are random patches of sand scattered through Pac Heights. I also don’t understand why a billionaire neighbor hasn’t just bought the lot. They are literally billionaires and this is pocket change for them. It makes me wonder if this is one of those, “Just try and build something here and we will sue you into oblivion” scenarios? No idea, just engaging in wild and likely inaccurate conjecture. Everything here is super risky. I don’t know which is worse, the 10+ million estimate to build, or the wrath of the neighbors if you try! Agree with everything you say! If you have the money, buy it and make it a park. No idea what the soil is there, but internal shoring will cost a lot no matter what it is.